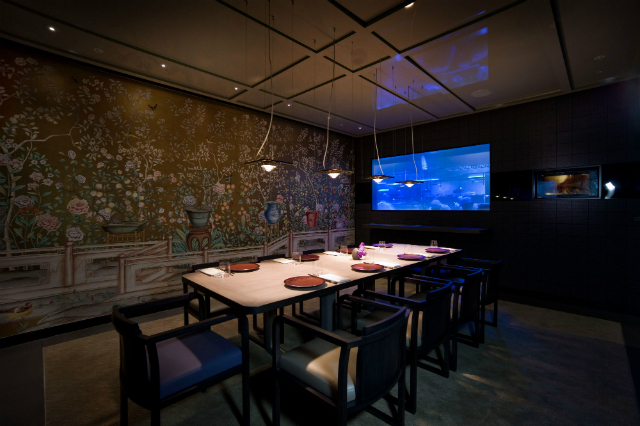 Even before the Captain and I ventured East in search of the Hakkasan group’s new temple to fine dining, HKK, we’d heard stories. These tales tended to be a consistent paean to what was rumoured to be the best Chinese food in London – ‘next level’, ‘beyond innovative’ and ‘much better than Hare and Tortoise’ were just some of the accolades we’d heard. But where there’s hype, there’s so often disappointment, and we were preparing ourselves for a ‘meh’ experience. There have been all too many places in the past few years which open to a maelstrom of hype and glowing reviews, only for standards to slip almost immediately. Less than six months after its much-lauded opening, had HKK managed to keep the good ship afloat? Or was it holed beneath the waterline and in desperate need of the culinary equivalent of pumping water? Thankfully, we didn’t need to worry. After managing to completely ignore it on first heading to Shoreditch’s increasingly trendy Worship Street, the discreet sign and low-key entrance eventually made itself clear – albeit in the most modest of ways. If you thought that the Hakkasan restaurants offered a modest and self-effacing exterior, you genuinely ain’t seen nothing yet. It’s quite obvious that the aim is to attract a well-heeled and discreet clientele, and to this end the main room is almost comically simple in its bare straightforwardness. There are around a dozen tables of various sizes, a central area where theatrical feats of food preparation can be undertaken (we’ll come to that) and an open kitchen at the back, where various white-jacketed chefs silently bustle around. Apart from a small bar area, that’s your lot. 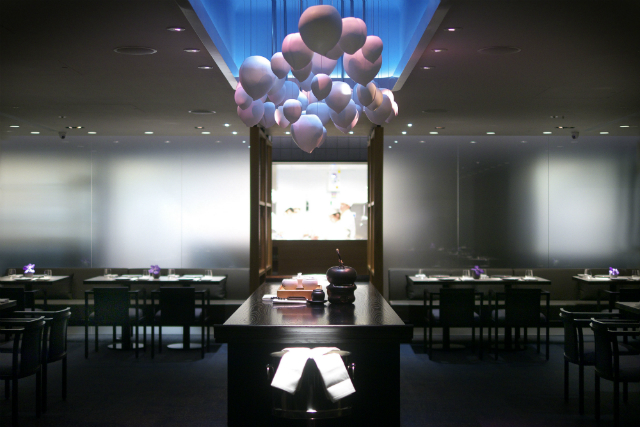 It’s a far cry from the huge spaces of Hakkasan, but that’s intentional. When you’re at Worship Street, prepare to genuflect at this temple of gastronomic indulgence. There are various plans of attack, depending on what time of day you’re visiting and how hungry you are. At lunchtime, the time-pressed or impecunious might fall upon the 4-course business lunch menu with delight, as it’s something of a steal at £28.50. 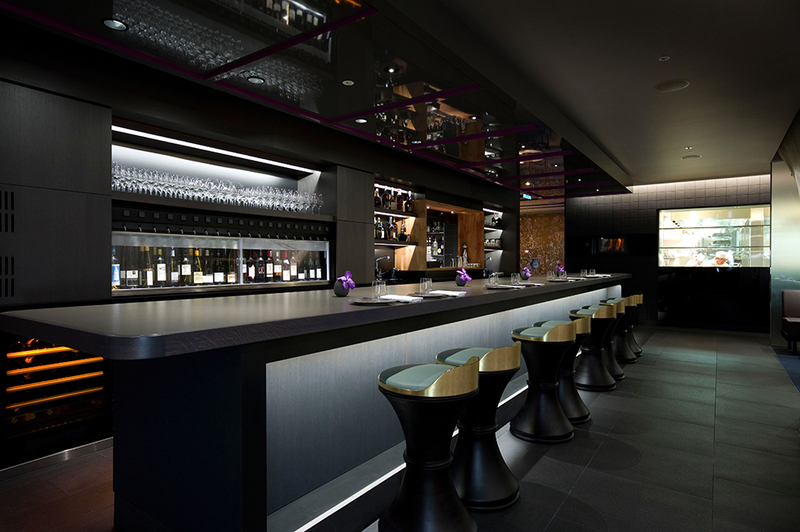 At the other end of the spectrum is the 15-course tasting menu, with delights including everything from abalone to Wagyu beef on its impressive roster, and an equally impressive price tag of £95 sans wine to contend with. The Captain and I, however, decided to go for something in between, and the 5-course duck lunch menu seemed the perfect compromise. I like duck. It’s a far more interesting bird to eat than chicken or grouse, offering a variety of ways in which it can be taken. 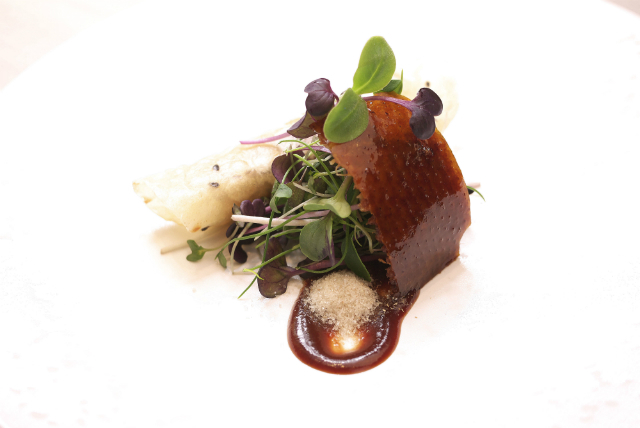 Here, the chef Tong Chee Hwee uses his considerable expertise to make it less a meal, more a voyage into the lucky/unfortunate bird’s various edible attributes. Therefore, an opening starter of mango, lotus flower and duck wrap offers an upmarket take on the sort of hoisin duck wraps that mediocre establishments specialise in, and a ‘truffle duck broth’ is equal parts rich, warming soup and a delectable blend of flavours that both befuddle and delight. However, there are more theatrical excitements at hand. The Captain and I are summoned over to the central area and shown a glistening Peking duck, which has had all the care and attention in the world shown to it, including being roasted in cherry wood. A small part of its golden skin is then cut off, followed by a gloriously fatty part of its unctuously tasty flesh, which is then placed inside a single pancake. If you were of a mercenary bent, you might call it ‘crispy duck’, but it’s so much more than that rather banal appellation, just as a later course of roasted duck claypot with Wagyu beef and jasmine rice is a dizzyingly delectable blend of flavours which probably wouldn’t work with a less capable chef, but here are synthesised to fine effect. The meal ends with a salted cashew nut and milk chocolate parfait, somewhat to the Captain’s disappointment, who had hoped for more duck, possibly in a chocolate form. It’s the weakest thing we eat, and still utterly, scrumptiously excellent. The whole shebang is washed down with a well-chosen bottle of German Stepp & Gaul Pinot Noir, which proves a fine match for the infinite complexities of the duck in all its forms. We leave, sated and hearty. Deposited into the outside world once again, the Captain and I glance at one another, with the look of two men who have shared an important, life-changing experience. No words are necessary. We salute one another, and part, him to a mysterious life on board a vessel somewhere, where the only duck he’s likely to eat is one he’s captured himself. While this might garner him points for sustainability and organic provenance, I have a very grave doubt that even a man as talented and skilled as the Captain will ever come close to making it taste as delicious as HKK’s endeavors. Worship, it seems, is the mot juste.